Given that the semi-final format pits second against third, realistically the Crocs have lost nothing from the forfeit result, but gained more much needed practice, confidence and touch ready for the business end of the year. 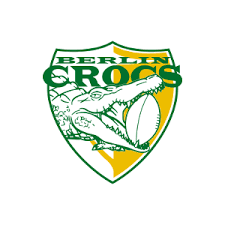 The big test for the Crocs will be their Round 8 clash hosting the Hamburg Dockers. Last time the clubs met, the Crocs pinched an upset one-point win in Hamburg. They will be keen to repeat that effort at home but the Dockers will come out breathing fire and seeking retribution. It is certain to be a huge game. Propelled by an 11-goal performance from Rowan Miegel, and supported by a great team performance, the Crocs kicked five goals in the opening quarter and led by 71 points at the main break. If anything, the Crocs upped the ante in the second half before powering home to a big win. 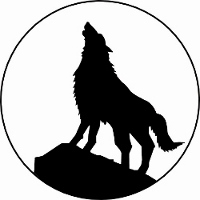 It has to be said that the Dresden Wolves were brave in defeat, against imposing odds, yet made the journey and never stopped trying. Round 8 is on the weekend of 28th July and as well as featuring the Berlin v Hamburg clash, the Rheinland Lions will host the Dresden Wolves in Cologne and the Munich Kangaroos will meet the Frankfurt Redbacks in Fürstenfeldbruck.